In the theatre, we reach out and touch the past through literature, history, and memory so that we might receive and relive significant and relevant human qualities in the present and then pass them on to future generations. The BA in Theatre is a wide-ranging, comprehensive degree program that offers students the opportunity to engage deeply in all the various components of creating, curating, and critiquing performance. The discipline of theatre demands a multitude of skill sets and requires a strong sense of curiosity and discovery. The BA in Theatre allows for the broadest exploration of theatre as an aesthetic object, as work, as a vehicle of social justice, and a vital way of understanding and communicating in our communities. BA students bridge the gaps recognizing theatre’s ability to connect the local and the regional to the national and the global. Built on a solid and broad-based liberal arts foundation, BA students have the flexibility to tailor their theatre education to their interests, whether it’s acting, design, critical theory, technical theatre, dramaturgy, or stage management. All the while, BA students learn a host of communicable, transferable skills that apply broadly both inside and outside of the arts: from stages, to classrooms, and to boardrooms. All BA students share a common series of courses with all other majors, but with many more electives that allow them to chart their own path in theatre. BA students are intrepid explorers forging their own paths, creating opportunities, expanding their minds, and harnessing theatre to positively impact the world around them. BA students are actively involved in our production season as well as in all of the workshops and special opportunities afforded by the guest artists we routinely invite to work with us. BA students act in and direct productions, serve as dramaturgs and stage technicians, and perform and devise with companies like the Mosaic Theatre Company. BA students also have the opportunity to take advantage of multiple study abroad programs including summer seminars in Galway, Ireland, Barcelona, and Spain. BA students take advantage of a wide range of opportunities on and off campus, whether directing student productions or pursuing internships. As they chart their own paths through the degree track, students gain a strong sense of themselves as citizen artists and cultivate the skills needed for their future success. 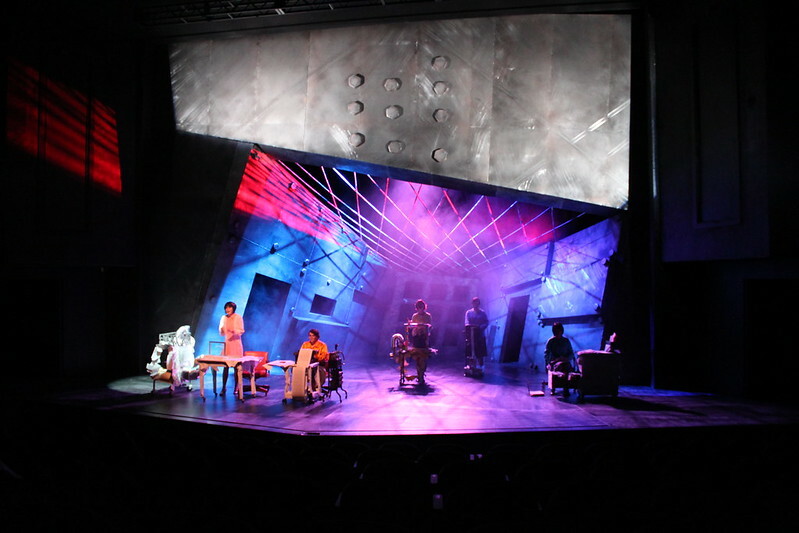 Whether pursing a professional career, starting a theatre company, teaching high school theatre, or pursing graduate degree, BA graduates leave Auburn with a multitude of skills (intellectual, practical, and otherwise) that afford them the opportunity to succeed in a range of possible career trajectories. While participation in the production season is not mandatory, it is strongly encouraged. See a full overview of the curriculum for the BA in Theatre on AU Bulletin. Students must be accepted to Auburn University and must officially declare the theatre major in the College of Liberal Arts. There is no audition or portfolio review required to enter the BA program. View this gallery on Flickr for fullscreen capability and full accessibility.